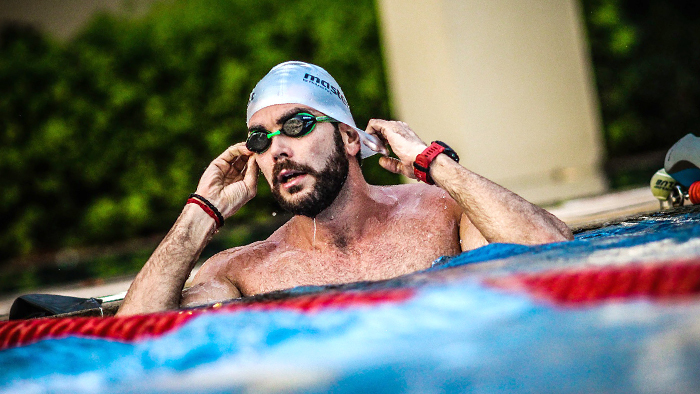 There are plenty of articles about swimming in triathlons, and various films on YouTube showing different technical drills—so why does progress in the water come slowly for so many athletes? Below, you will find my point of view on this question, based on several years of intensive and direct work with amateurs. Whether we are talking about professional or age-group athletes, the limited time for swimming training is very important. That is why it is crucial to choose the right areas to work on. You want your return on investment to be as great as possible! Apart from the time it takes you to cover the swim course, the key factor is how much energy you spend in the water. In most popular triathlon distances, the swim leg covers only 10 percent of the entire race time, but it can consume a disproportionate amount of energy with poor technique. Generally speaking, technical proficiency in swimming can be divided into two categories: minimizing resistance and the maximizing the efficiency of the energy source. In the first category, the most important aspects include the position of the head and the movement of the legs. In the second category, they include stroke frequency, early vertical forearm position and the final push phase underwater. Properly performing these elements should translate into about 25 minutes in the half-ironman distance. Note that I have put the movement of the legs in the category of “minimizing resistance”. Did you know that the world’s top freestyle swimmers in 1500m (the effort here lasts over 15 minutes) generate only 10 to 15 percent of their power from their legs? In a wetsuit, the efficiency of the leg movement decreases significantly, resulting in finishing times that are usually several times longer. In other words, your legs should not get in the way and should use as little energy as possible. Improving technique always takes time. Studies show that changing a technical element takes at least 6-7 months, and stabilizing a newly-taught technique in different conditions takes up to 12 months. In reality, I often see coaches and athletes choosing a different focus for one-month blocks or less. The result is that all elements remain weak. When working with athletes, I avoid drawing attention to more than two elements at the same time, and I move on to subsequent aspects only when I see considerable improvement. In other words, too much variety in training reduces its effectiveness. To induce the desired post-training adaptation, it is necessary to use a repetitive stimulus of a specific intensity and duration. This loads the neuromuscular system long enough to induce the desired adaptation. Unfortunately, in a medley, the neuromuscular system receives a specific stimulus for only about 1/5 fatigue duration (freestyle is faster than other styles), and after that, it rests. When you swim with a pull buoy, your legs rest; and when you swim with legs, your hands rest. Worse, the longest interval in this workout which will load the muscles and nervous connections in the same way as a race is only 400 metres. This is just a drop in the ocean, especially for an athlete who has to swim almost 2 kilometres during a race. In my opinion, technique is simply not good if it disintegrates as fatigue grows. The athlete must be physically prepared for the challenges that lie ahead of them during the race. If your longest intervals do not exceed two kilometres, then your technique will dramatically deteriorate, wasting precious energy for the other parts of the race. It’s important to distinguish technical mistakes from problems relating to the mechanics of motion. Even with all the practice and visualization in the world, many technical elements simply cannot be performed by some athletes because of mechanical limitations. A prime example is the early vertical forearm position under water, widely known as the “high elbow catch”. When you lack proper mobility of the shoulder girdle and movement patterns allowing rotation in the shoulder joint, you simply cannot perform the high elbow catch. It doesn’t matter how many technical drills you integrate into your training. The added efficiency of proper mechanics is well worth the daily mobility work. “Flow” is a psychological term describing a mental state in which a person performing an activity is fully immersed in the process. A Flow state comes with increased focus, satisfaction and fulfillment; freedom from a fear of failure; and a sense of control connected with the loss of self-awareness. You probably know this state from your best training sessions and competitions. Of course it’s possible to set a personal best without achieving a flow state. However, flow is a sign that you’ve tapped directly into your mental “hardware”, rather than relying on “software,” which can be advantageous when the going gets hard. The aim of the training process is to give you the repetition needed to reach a state of flow, or unconscious performance, on race day.